China’s state news agency, Xinhua, released two updated style guides on the tail of China’s 2015 advertising law overhaul. Faced with these new regulations, foreign companies have experienced increased difficulties in the last few years when promoting products in the PRC. The guides and the laws are imposing stricter rules on the content of advertisements, such as a broadened definition of “false advertising” and the prohibition of certain superlatives. China has a wealth of consumers to be sure, but any advertising mistakes made in the country will have harsh penalties for a company. The new Suzhou IKEA may incur fines for advertising a product as “top” level, so phrases such as “Reassuring Quality” are used instead. Recent examples of companies that have run afoul of the revised advertising laws include IKEA and Marriott Hotels. 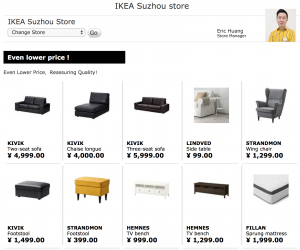 An IKEA in Suzhou, China, may incur a fine of 20,000 to 1,000,000 RMB for its use of the word “top.” This superlative was used to describe the comfort level of mattresses in the IKEA, but under the advertising law’s Article 9, such phrases are banned. Marriott Hotels was censored in early 2018 for violating Xinhua News Agency’s style guides, which include 102 articles in total. 51 articles contained rules about Chinese sovereignty. In a promotional email, Marriott listed Taiwan, Hong Kong, Macau and Tibet as countries. Following the email, the Shanghai Information Networking Office ordered Marriott to close its Chinese website and official Chinese APP for a week. China’s burgeoning hotel market generates a revenue of $64.8 billion a year, so it’s easy to imagine what monetary losses Marriott suffered for this email. In short, China welcomes foreign advertisers, but companies are expected to follow Chinese laws and national views on sovereignty. And Marriott isn’t the only company to be penalized for straying from the Chinese government’s opinion on foreign affairs. Companies such as Delta, Zara, Burberry and more have experienced similar consequences. Facebook, Google, Twitter and YouTube have been famously banned from operating in China. As the struggles of IKEA, Marriott Hotels and myriad other companies exemplify, the new revisions have created additional difficulties for foreign companies. The revised laws add to the longstanding problem of cultural dichotomy between western countries and China, and their penalties make even a single mistaken word extremely expensive.